"From False Teeth to Diesel Engines!" 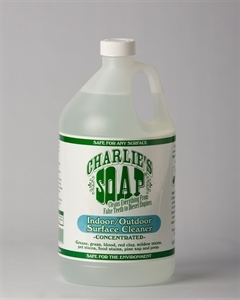 Charlie's Soap Indoor/Outdoor Surface Cleaner is a concentrated hard-surface cleaning agent originally developed for maintenance operations on industrial machinery. 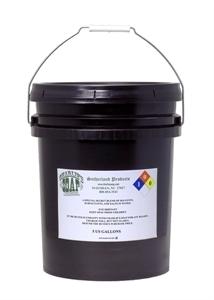 When you need effective degreasing action along with safety, this will become your go-to biodegradable cleaner. 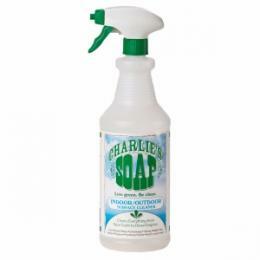 Indoor/Outdoor has no added perfumes, is safe and non-toxic around kids and pets and is biodegradable. Above all else, its concentrated formula it will power through the toughest of stains and goes a very long way. Green cleaning for decks, cars, boats, bikes, driveways, siding, walls, pets, hands, engines, furniture, grills and more. In short: if you can use a lot of water to rinse what you're cleaning, this is the best bet for you! NATURAL MINERAL INGREDIENTS: Water, sodium carbonate.